I enjoyed so much, I prepared to dirty my palette with some new colours, and got into the abstract thing, a little different to my usual style, as I slapped the paint on with large brush strokes quickly, and well soaked! Blues and greens this time. 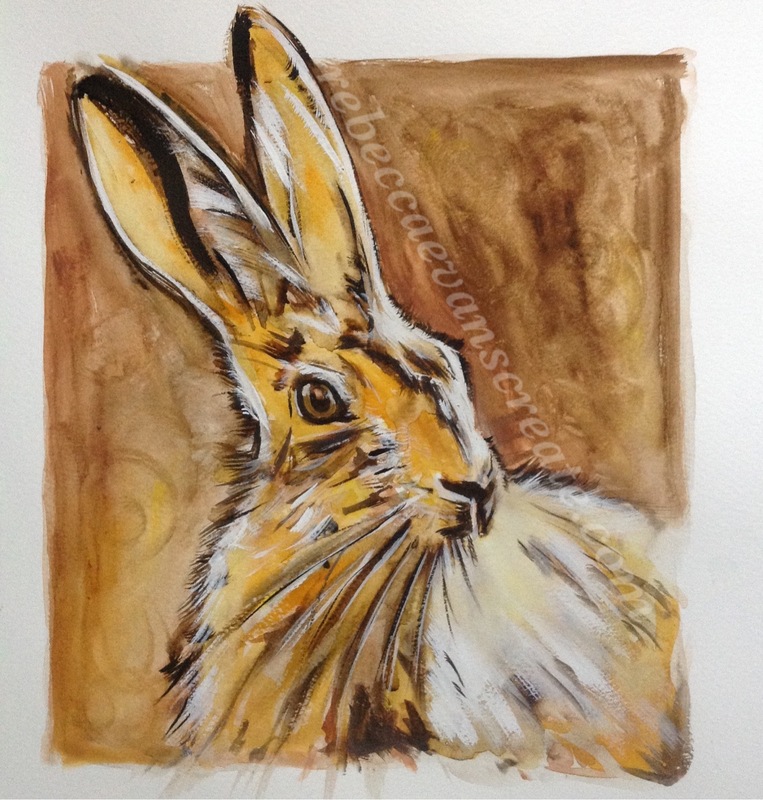 This entry was posted in abstract, art, Hare, watercolour and tagged abstract, art, Hare, painting, Painting, watercolour. Bookmark the permalink. I love them both but the blue hare is stunning! 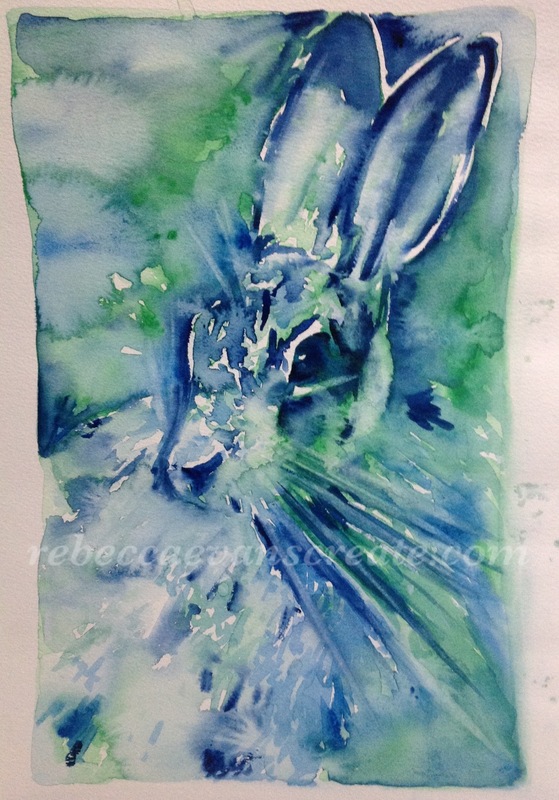 Ohhhh yes when I use some purple in the future I will use it up for a purple hare……maybe with some yellow? Ahhh, I had forgotten about these, fun, quick and free style.